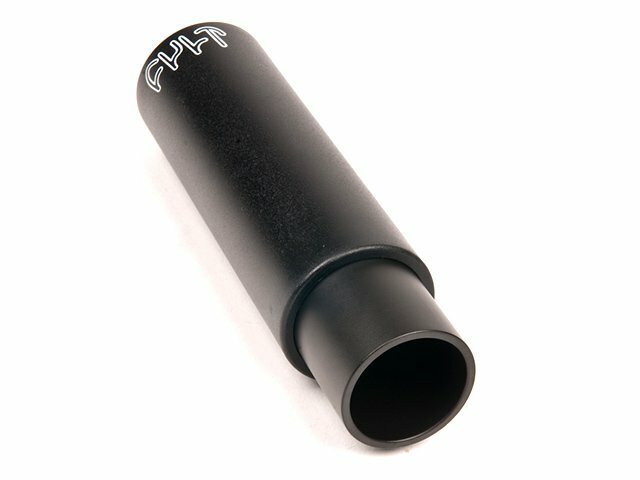 This Cult "Butter" Peg - 4.5" (Length) is an evolutionary leap in the pegs-development and provide through the outer and replaceable plastic sleeve excellent grinding properties. The core (inner peg) of the Cult "Butter" Peg - 4.5" (Length) is made of heat treated 4130 CrMo and ensures the usual stability of steel pegs. The scope of delivery of this Cult "Butter" Peg - 4.5" (Length) includes one steel peg and one plastic sleeve and a adapter ring which makes this peg suitable to 14mm and 10mm axles.